So the Staff Party is coming up and you have no Secret Santa Gift. Worst of all you got your BOSS! We know you can get a bit hungry during your day, but you will be relieved to know the Take a Break Emergency Food Tin has you covered. Made from vibrant red tin and designed to look like an emergency ‘break the glass’ fire bell, you can fill the tin with your favourite snacks and off you go! 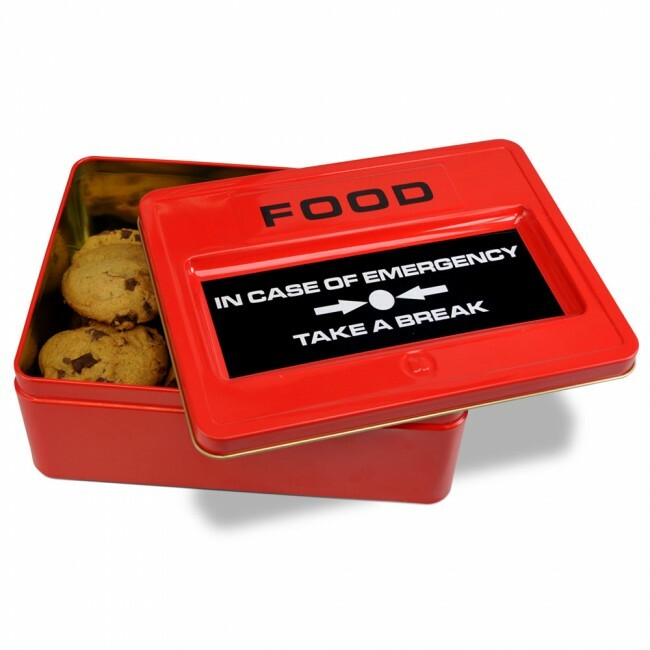 Whether you are out and about or at work, the Emergency Food Tin will ensure you never go hungry again. Keep hunger locked up until lunchtime, with the Emergency Food Tin! These Light Bulb Tealight Holders in either Clear or Frosted glass will make the perfect home decoration, whilst adding an elegant touch to the room. 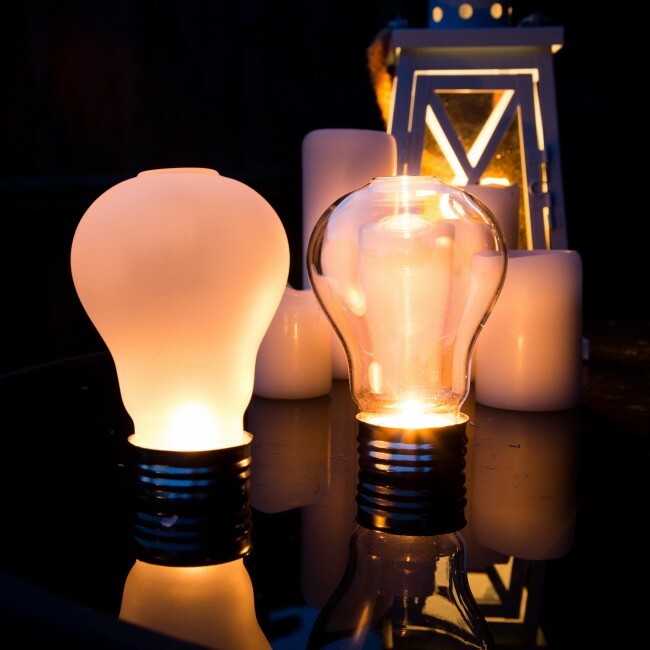 Simply place a standard tea light into the metal base of the light bulb, attach the top glass and enjoy the candle glow. Perfect for either indoors or outdoors, adding great mood lighting. A seriously bright idea! 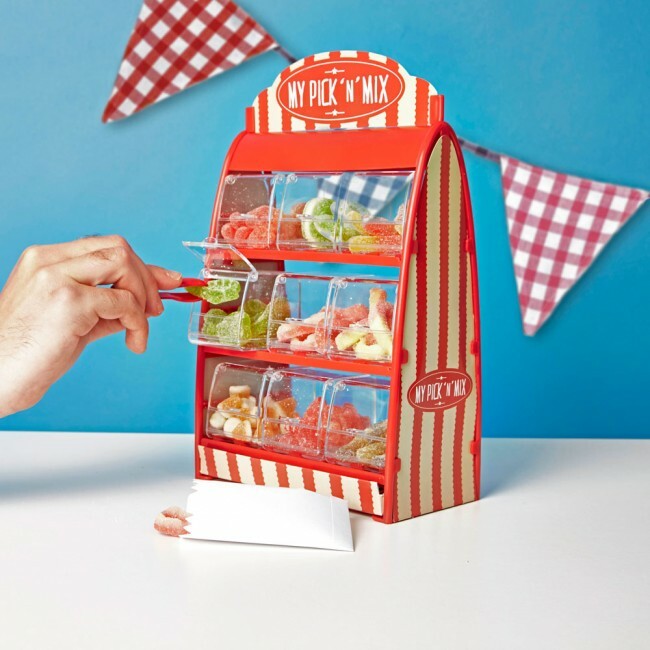 Be like a kid in a sweet shop but in the comfort of your own home with the retro My Pick n Mix. Sporting an iconic red and cream design, the one we remember so fondly from our trips to the sweetshop. the My Pic N Mix would make a great gift for that one person in your life who is renowned for their sweet tooth vulnerability. 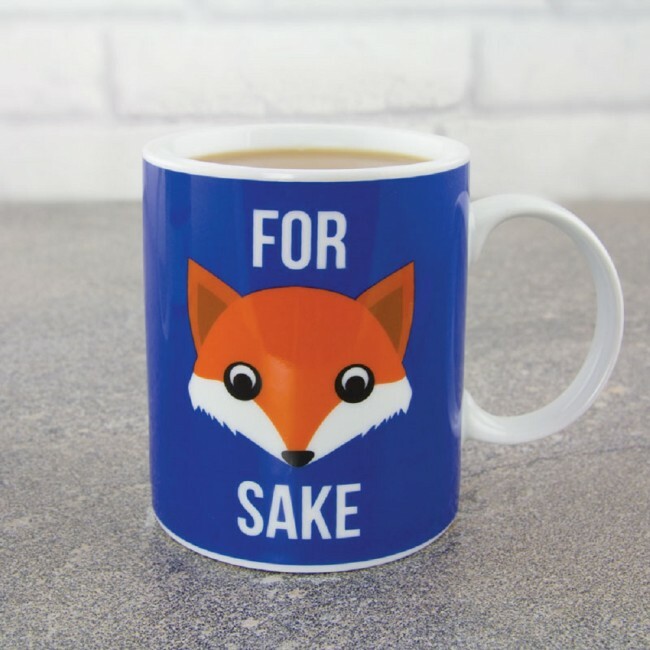 For when things get a little bit too much, the For Fox Sake Mug is sure to remind you that there is an alternative way to de-stress than your customary foul-mouthed rant. Ideal for all them potty-mouthed tea connoisseurs out there, the For Fox Sake Mug is sure to bring back the smile to the face of anyone who drinks from it, not least because of its quirky design. 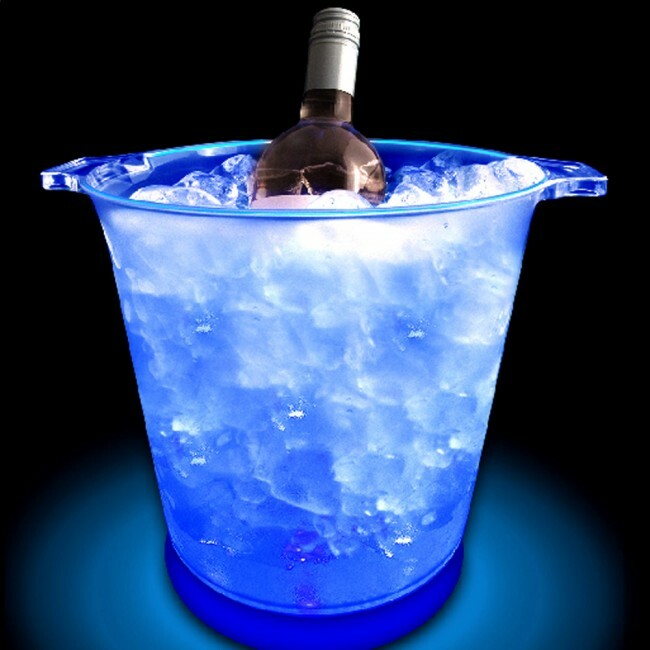 Liven up your party with a full sized frosted Ice Blue LED Ice Bucket, with a solid blue base and blue LED’s, it is sure to get the party going with a swing. When switched on the 9 super bright blue LED’s shine through the bucket and reflect off the ice, illuminating the whole bucket and it’s surroundings. A real talking party – let’s get the party started! When he isn’t busy repairing spaceships and saving lives. 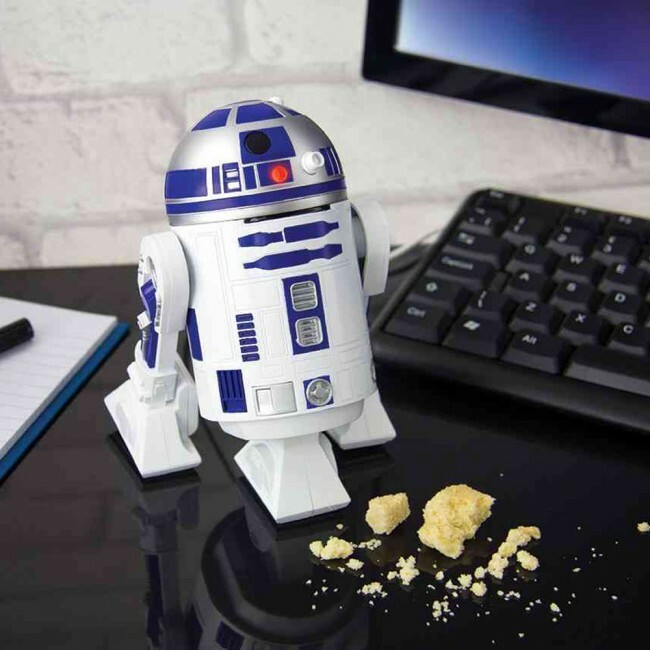 To raise awareness of his great work then, we bring to you the Star Wars R2-D2 Desktop Vacuum. Powered by USB (not the force), the Star Wars R2-D2 Desktop Vacuum is intent on showing off his renowned vacuuming skills to all us humans. How very generous of him. Officially licensed by the good people at Star Wars so you know he can be trusted to do a good job. The Star Wars R2-D2 Desktop Vacuum comes complete with micro USB cable. 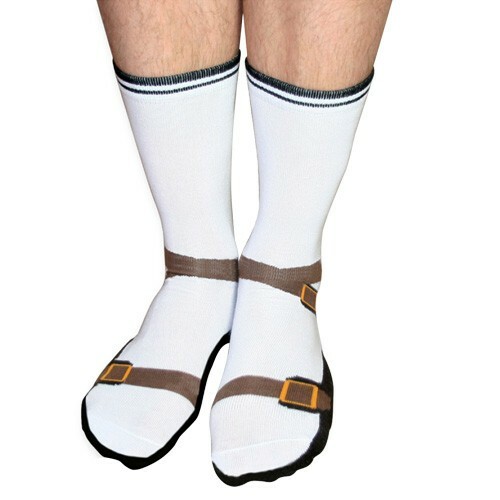 Become the height of fashion this summer with these seriously amusing Silly Sandal Socks. How embarrassing is it when your Dad puts on his white socks and brown sandals – VERY!! Well if you can’t beat them, why not join them with these totally hot and stylish Silly Sandal Socks!! One size fits all. Whether you are looking to add it to your wardrobe for this summer or are giving it to your Dad for an amusing gift, these socks are sure to be a hit. One size fits all. Sometimes in life you just have to look like a little bit of an idiot and that is exactly why the Basket Case Game was invented. A true classic, the Basket Case Game was designed for all you office troops out there that believe play time is important. 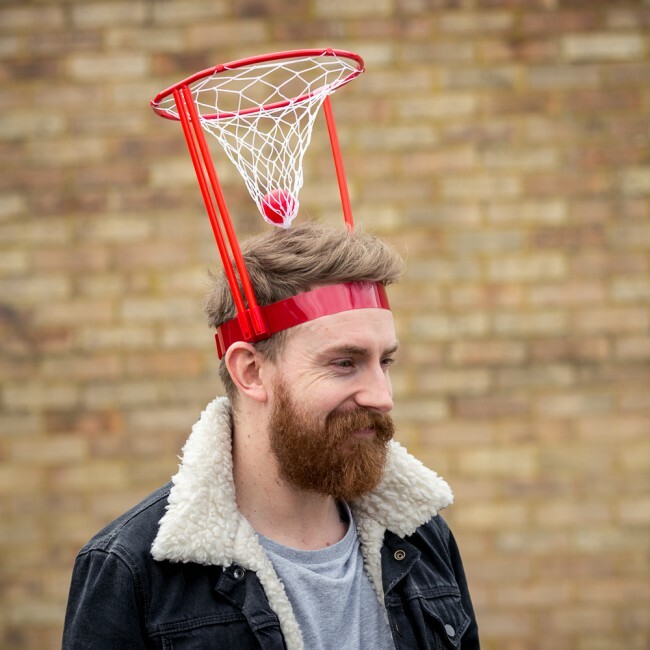 Simply place the basket on to the head of the least coordinated worker in the office and wait for the widespread laughter as you watch them frantically move their head in an effort to capture one of the 20 plastic balls provided. You are going to be delighted with the Magnetic Key Target Board. Darts players aside for one minute, the likelihood is that even mere mortals should be able to hit the Magnetic Key Target Board with a simple throw every time. 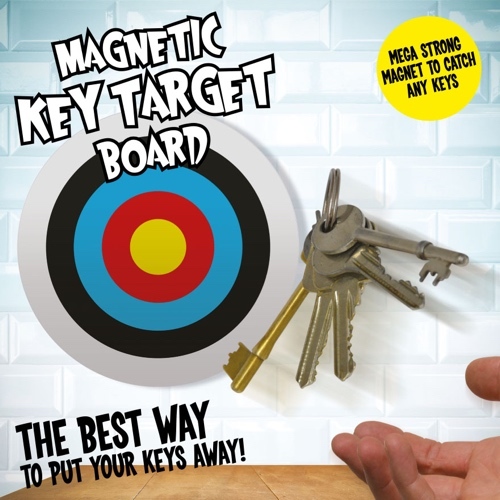 Made from super strong magnet that we tracked down after a thorough worldwide search, the Magnetic Key Target Board will capture your keys into its safe haven even if you don’t manage to hit the bulls eye each and every time.